Fall is an exciting time in Columbus Ohio because it’s all about Ohio State football! 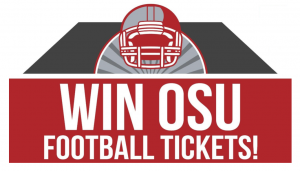 This season, Edwards Communities gave away two tickets to five of the Buckeyes’ home games, through a variety of interactive and competitive social media contests. Hundreds of our members participated in the contests by liking our Instagram posts, submitting photos, or commenting about why they are thankful to live in an Edwards community. The friendly competition united all members in one thing they all had in common besides being an Edwards member– they all have Buckeye fever! We’d like to congratulate all of our winners this season, and thank everyone who participated and got involved in these contests! We hope it was a fun and exciting time for everyone. Please continue to stay in touch with us on Facebook, Twitter and Instagram for events and announcements about your community!